Backpack in polyester with coloured inlaids and external zipper pockets.34x23x34 cm. From school to the playing field, without forgetting your free time, this backpack accompanies you in your daily activities. 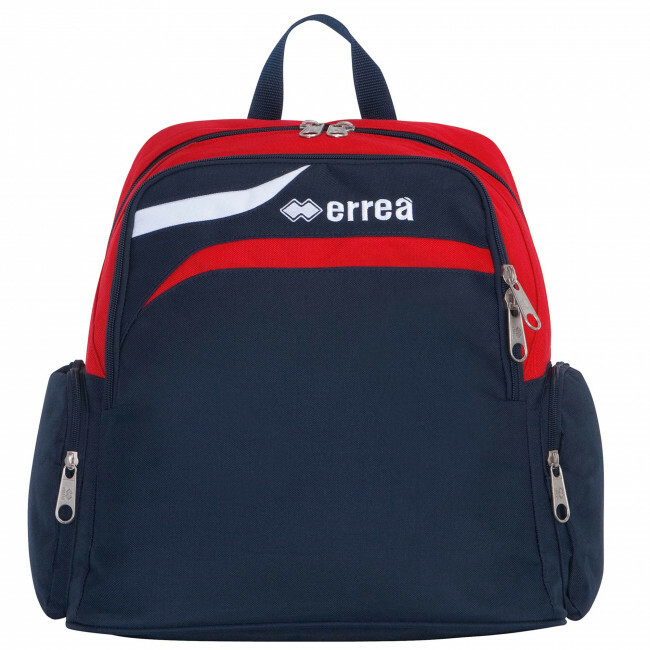 With adjustable shoulder straps, padded for added comfort, and two front compartments to hold your sports apparel. Finally, it has a side zipper pocket for easy access to your most important belongings, and a removable rigid base to hold your competition or training shoes.